Obituaries are a very useful source of information for genealogical research. They tell us about an individual’s roots, their family, and some of their accomplishments when they were alive. However, sometimes they’re difficult to find! Luckily, there are resources available at Halifax Public Libraries to help you, even from a distance. Halifax Central Library's Local History collection has many vital statistics newspaper indexes that contain genealogical information, including cemetery transcriptions. You can find a listing of some of these materials at the end of this post. Central Library also has access to microfilm copies of The Chronicle Herald dating back to 1880, as well as other newspapers from the Halifax Regional Municipality. View a full list here. 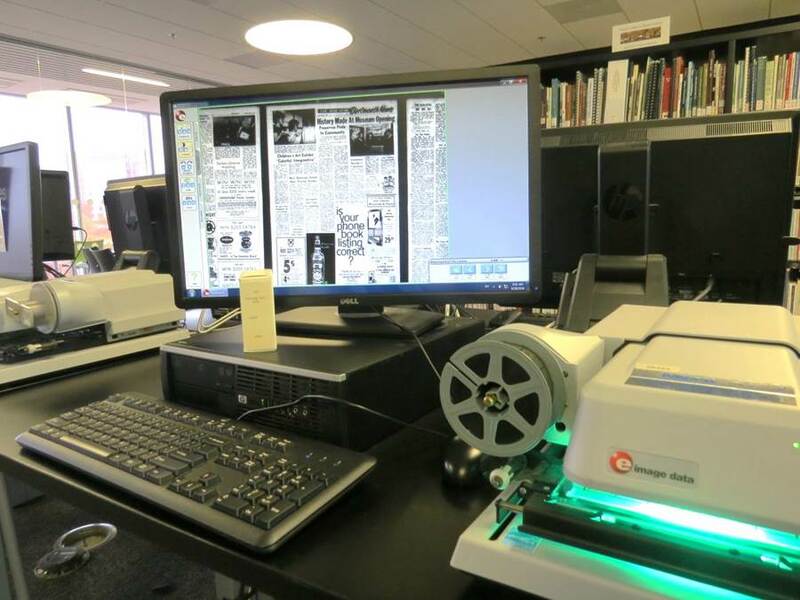 Come to the Library and use our microfilm scanners to read, or print out any articles or obituaries that are of interest to you. If you are unable to visit us in person, submit a request via our contact form and we can do a free search for you. We can search up to 3 obituaries per request. Once we have finished finding the obituaries, you can submit another request. The individual's date of death or the date their obituary was published. The community the individual belonged to. Due to copyright restrictions, we are unable to email copies of obituaries. If you live in the Halifax Regional Municipality, pick up a copy of your request at any Halifax Public Libraries branch. Please include your phone number. If you live elsewhere in Nova Scotia, across Canada, or in the USA, your obituaries will be mailed free of charge. Please include your mailing address. If you are still hitting a genealogical brick wall, you can also make use of the resources in our Local & Family History section, or by booking a 1-on-1 session.